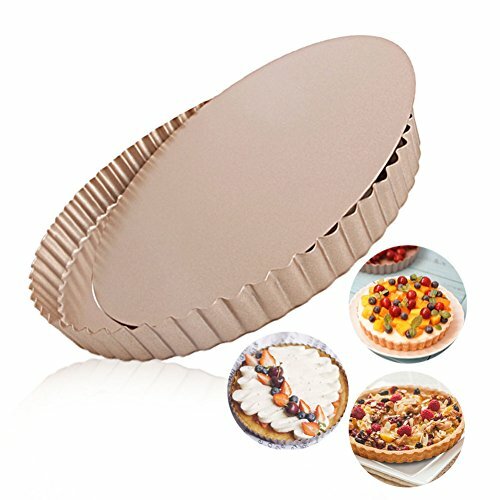 Nonstick surface,Easy to clean up,Nice size for any kind of trat,Removable Loose Bottom-pops out easily,5 Years Guarantee! Hand wash with cleanser in warm water. Not apply to non-stick spray for cooking use. Not apply to fire or dish washer. Not apply to microwave or electromagnetic oven. Silght scratch on the mould is okay. View More In Tart Pans. If you have any questions about this product by LUFEIYA, contact us by completing and submitting the form below. If you are looking for a specif part number, please include it with your message.